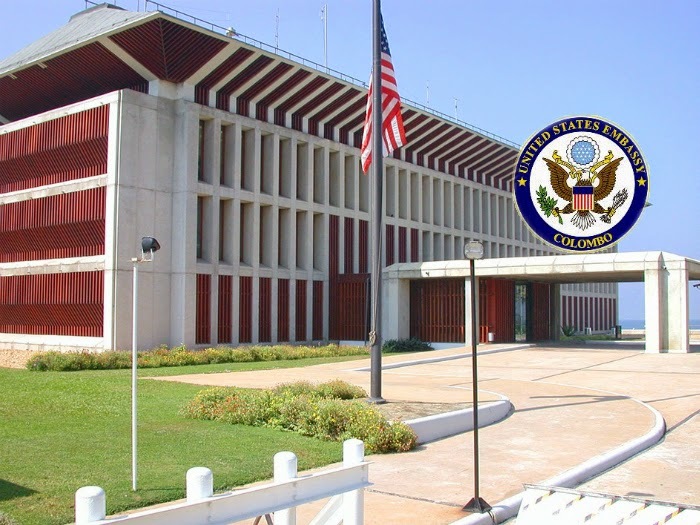 The United States has expressed deep concern over the circumstances surrounding the cancellation of a journalism training session in Colombo over the weekend. Issuing a statement, the US Embassy in Colombo says the eventual cancellation of this training, which was focused on digital security for Jaffna-based journalists and financially supported by the U.S. government, was accompanied by a series of threats and intimidation of training participants and other journalists around the country, including threats against at least one journalist who made a statement criticising the government over the cancellation. The statement reads that this marks the third training session to be cancelled in Sri Lanka since May, including others that were disrupted by well-organised protesters threatening harm to the training participants. Furthermore, the Embassy adds that even when present, the police have not provided security for threatened journalists or taken action against the groups making the threats. Separately, the US Embassy also expressed grave concern about threats and intimidation by security forces against journalists covering the July 25 Jaffna court proceedings related to an eleven-year-old victim of sexual abuse, allegedly at the hands of Sri Lankan Navy personnel from the Karainagar Naval Base. The statement reads that these events continue a troubling pattern of impunity for those who interfere with both freedom of speech and freedom of assembly in Sri Lanka. The US Embassy notes that the US government has raised its concerns with the Government of Sri Lanka and the Sri Lankan Embassy in Washington and strongly urged the Government to take immediate steps to ensure the protection of fundamental rights for journalists and for all Sri Lankans.